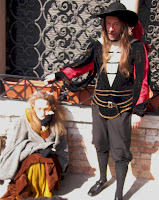 (Venice, Italy) No, Venetians have not started dressing in 17th-century costumes again, nor is it Carnival. Those are actors at Campiello del Remer during a break in the shooting of Serena Nono's latest film based on Simone Weil's unfinished play, "Venice Saved." Weil wrote the play while in exile with her family from Nazi-occupied Paris. Set at the same time as a 17-century Spanish conspiracy to conquer Venice, "Venice Saved" was intended as an allegory of Imperialistic Germany in the 1940s. Simone Weil, the philosopher, writer, and social activist, had a short life. She was born in Paris on February 3, 1909 and died in England at age 32 on August 24, 1943 from cardiac arrest aggravated by tuberculosis and self-starvation, choosing to limit her food intake to what the French were eating while under German occupation. She was deeply moved by the suffering of humanity, and has been described as a "mystic visionary." 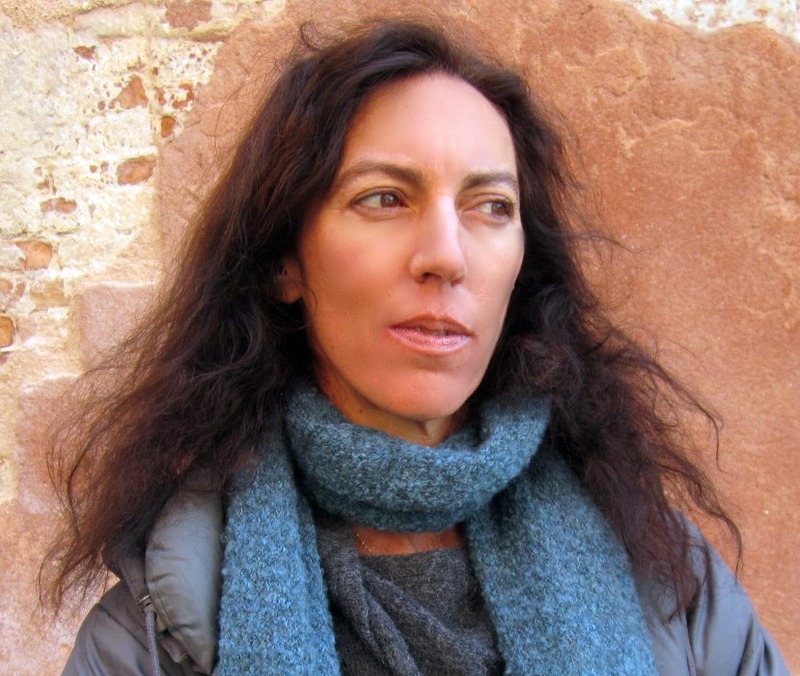 Like many of those who died young, she has since inspired a plethora of creative projects. Fittingly, seventy percent of the cast of Serena Nono's film comes from the Casa dell'ospitalità di Venezia e Mestre, or the Hospitality House of Venice and Mestre, which provides shelter for the homeless. Serena Nono was born in Venice in 1964 and has some of the same sensibilities as Simone Weil coursing through her veins. Trained as an artist at Kingston University in London, she has exhibited all over Europe. Her father was the avant-garde composer, Luigi Nono, considered one of the most prominent composers of the 20th century. His music reflects his strong opposition to totalitarian systems that restrict individuality and freedom. Nono's maternal grandfather was the Viennese composer, Arnold Schoenberg, a protégé of Gustav Mahler and pioneer of "atonal" music; Schoenberg Hall at UCLA, where he was a professor, is named after him. This is the third time Nono has cast the homeless in her films. Her highly acclaimed Via della Croce, or the Way of the Cross intertwines the crucifixion of Jesus Christ together with the stories of the guests at the Casa dell'ospitalità, and gives a voice to the marginalized members of society. Nono's current film is centered around the conspiracy of 1618 involving the Venetian ambassador Alonso de la Cueva y Benavides, and the Marquis of Bedmar. Produced by La società Giano di David Riondino and Sabina Guzzanti, the assistant director is Manuela Pellarin, the director of photography is Tarek Ben Abdallah, and the scenographer is Serena Boccanegra. It is a co-production of Rai Cinema.